A commemorative service has been held at London's St Paul's Cathedral to mark the 70th anniversary of the evacuation of British citizens in World War II. The first wave, known as Operation Pied Piper, involved 1.5m people and took place over four days from 1 September 1939, when hostilities began in Europe. Around 3.5m people, mainly children, were removed from cities and towns to safer areas from 1939 to 1945. 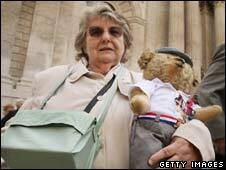 Organiser James Roffey said: "We were the forgotten ones of the war." The Evacuees Reunion Association organised the event, which was attended by 2,000 people. During the service of thanksgiving, a book of remembrance was taken to the altar and former evacuees shared their stories. But a flypast by an RAF Lancaster bomber had to be cancelled because of high winds. Of the 1.5m citizens evacuated as part of Operation Pied Piper, 750,000 were children on their own. A year later, just before the Blitz, an estimated 600,000 children were removed from the areas deemed to be most at risk from enemy bombing. Mr Roffey, who founded the Evacuees Reunion Association, said the service was key to helping more people understand the truth about the trauma of evacuation. He said: "It's giving us, at long last, recognition. We never received any certificates or medals - I don't think we expected them - but for years the whole evacuation story has been surrounded by myths. "If somebody said to any parent today, 'We're going to evacuate your children... we can't tell you where they're going, we can't tell you who they'll be living with and we don't know when they'll be coming home again,' how many people would say yes to that? "When I returned from my evacuation I'd changed so much, I wasn't that little eight-year-old boy any more. "It did have a permanent effect on families, on whole communities." 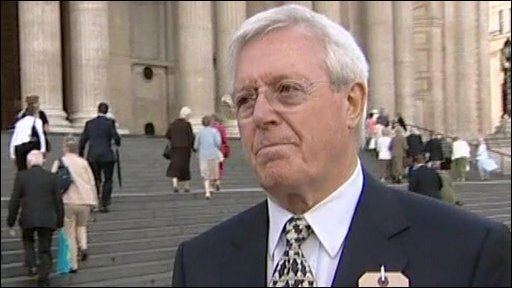 Broadcaster Michael Aspel, who attended the service, was evacuated from London to Somerset as part of the second wave. As a seven-year-old he was separated from his brother and sister, and they were later stopped from seeing each other because his foster family were "rougher". "I was taken off in a small car and dumped in a parlour of a cottage and there was no-one there," he told the BBC. "You had a good time, you did haymaking, you mucked around, but at the back of it all was how long am I going to be here?" He was there for four-and-a-half years and can remember "punch-ups" with the local children, "who did not want us there at all". Indeed many country folk believed urban children were dirty, badly behaved and lice-ridden. 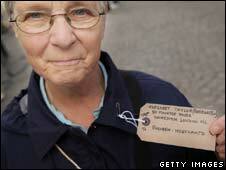 The Evacuees Reunion Association is the largest organisation serving World War II British evacuees. The charity aims to educate people about the evacuation, and provide support and counselling for former evacuees. Gordon Abbott, 76, one of the trustees, said: "There are many thousands of people who have no knowledge of the civilian evacuation. It was the biggest social upheaval this country has ever seen." Mr Abbott was seven when he was evacuated from Battersea in London to Bude in Cornwall in June 1940. Carrying his gas mask, a change of clothes and some food, he and his classmates were marched to a station and put on a train along with their teachers. "Obviously some of the children were upset and crying. I wasn't stressed. I thought it was going to be a great adventure and it turned out to be one of the greatest adventures of my life," he said. For many, it was a life-enhancing, mind-broadening experience, which forged new families and friendships. However, a minority were beaten, mistreated and abused by the families they were billeted to.